Seven nights accommodation in Montemar: sustainable, eco luxury villas located in the Giant Tortoise Reserve. Enjoy 24/7 the company of the Giant Galapagos Tortoises. Three boat tours guided by carefully selected naturalists to visit Bartolome Is: penguins, geology and marine life, Seymour North Is: frigate birds, blue footed boobies, marine iguanas, sea lions, and Santa Fe Is or South Plaza Is: sea lions, land iguanas, swallow tail gulls, marine wildlife. In Santa Cruz Island visit to Bachas Beach, hike/kayak /surf at Tortuga Bay Beach -rays, marine turtles-iguanas-, snorkeling at Las Grietas Lava Pools -marine life-, Charles Darwin Station and lava tunnels hike. Three gourmet meals per day with fresh, local products prepared by Montemar´s chef. These meals include exploration to two restaurants in search of cool spots with innovative, local recipe. Optional meditation or Yoga classes that will keep you centered, calm and in balance. VIP Transfer to and from Baltra Airport. Gourmet coffee and chocolate tasting from the coffee farm in Montemar. Explore the best spots of the Archipelago carefully selected to have a holistic view of Galapagos´ Wildlife. Nature brought to your trip through hiking, kayak, snorkeling, lectures, the windows in your villa and wildlife encounters (penguins, blue-footed boobies, frigate-birds, land iguanas, marine iguanas, sea lions, sharks, rays, turtles, giant tortoises, tropical fishes, Darwin finches, yellow warblers, etc). Cultural enrichment brought to your trip in the shape of rich conversations with your Ecuadorian hosts Roberto and Reyna, owners of Montemar; Ecuadorian and Latin American cuisine tailored to your personal tastes and dietary requirements whether it may be vegan, paleo, vegetarian, pescatarian, dairy free, grain free, low fructose, and many more. Experiential learning of nature and culture from a hands on perspective: smell, touch, feel and hear nature guided by local experts. 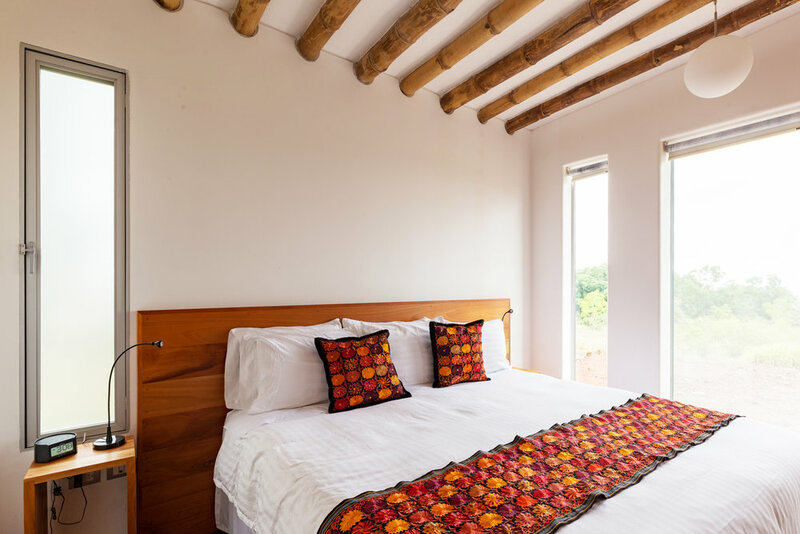 A california king or two twin beds with private bathroom will host you in a room decorated with local cedar wood, teak floors and marble bathroom. Minimalist decoration that puts nature as the most important element of decoration from big windows on the room. Stay by yourself in an amazing room with wonderful views of the Island and the ocean and share bathroom with another room. Minimalist decoration that puts nature as the most important element of decoration from big windows on the room. A room with a private bathroom with a full bed will host you during your stay. Is the smallest room in Villa Tortuga. 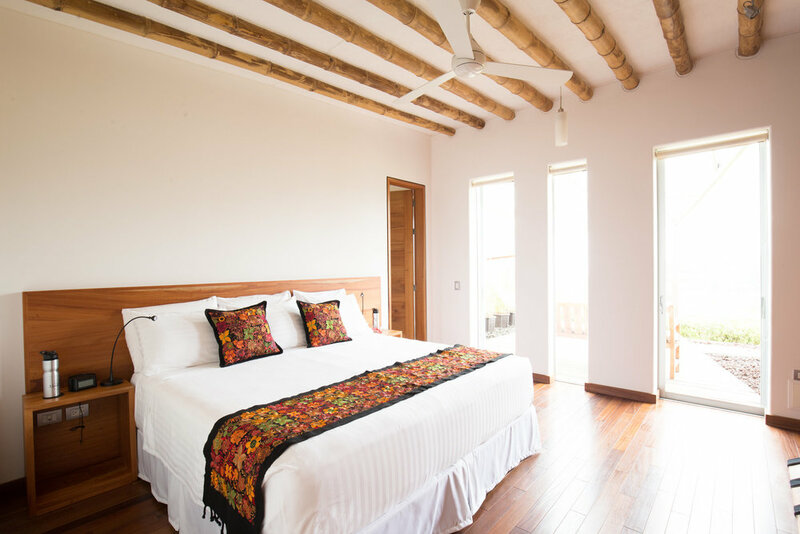 The rooms are all comfort-lux with one california king or two twin beds or a queen beed in the other Standard Lechuza, a private shaded deck and great views from Tortuga Bay and the giant tortoises. Each bathroom has its private bathroom with bathtub. The simplest room in MonteMar with veranda, queen bed and a shared bathroom. Tile floors with Spanish cedar furniture and a very nice view from your veranda’s door.